There is a rich literature on natural cures for headaches, digestive problems, allergies, and other health problems. But how do you tell help from hype? Is it safe and does it work? 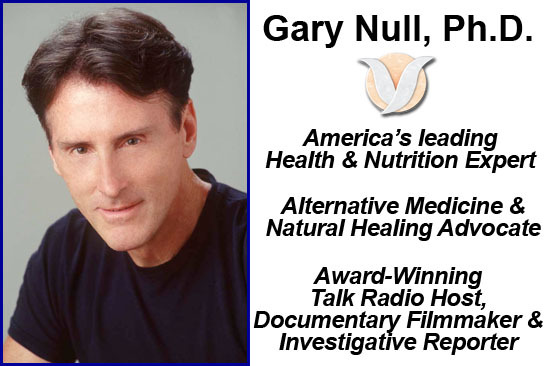 Natural Health Nutritionist Dr. Gary Null is the author of 70 books on health including his most recent book, Be a Healthy Woman, has been studying and advising millions on alternative health and natural healing for three decades. Today he shares his knowledge with us. Dr. Null has never shared his real secret to health and longevity. With more than 70 books, more than 20 films, competing in marathons, counseling thousands, and bridging nutrition, self-development, politics, and even pet care. I’m convinced that he has figured out how to clone himself. Dr. Null’s is a renaissance man who has an extraordinarily holistic view of health and wellness including physical, mental, and spiritual. He is into mindfulness and is a wonderful story teller. His books excoriate caffeine, alcohol, and meat. At a more controversial level, he advocates removing mercury fillings from teeth, chelation, magnet therapy, and questions the safety of vaccines. The sources he typically cites are experts he has interviewed. If you are looking for traditional research that footnotes lots of references, you will be frustrated. If you are looking for new ideas to consider or try, you are at a feast. A note on his references to some people living well into Mediterranean, Eastern European, and Eastern countries living extremely long lives are controversial: The oldest well documented centenarian was Jeanne Calment, a Frenchwoman who lived to 122. There are many claims of people living much longer but researchers as skeptical as documentation is poor and their cultures revere living long which gives an incentive to exaggerate. The concept that that the biggest factor in health and longevity is being happy is profound. Also profound is his epiphany that getting healthier starts with beliefs and values. I was also impressed with how Gary generally supported a Mediterranean diet but emphasized how you eat is as important as what you eat. Thus, slow leisurely meals with family do wonders for your health. Dr. Null’s website is www.GaryNull.com. 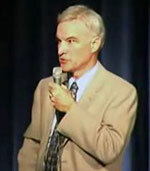 Dr. Brickey’s other websites are www.DrBrickey.com and www.Anti-Aging-Speaker.com.